VanDusen Chevrolet Buick GMC was a proud sponsor of the Town of Ajax Volunteer Appreciation Event held at the Ajax Community Centre. 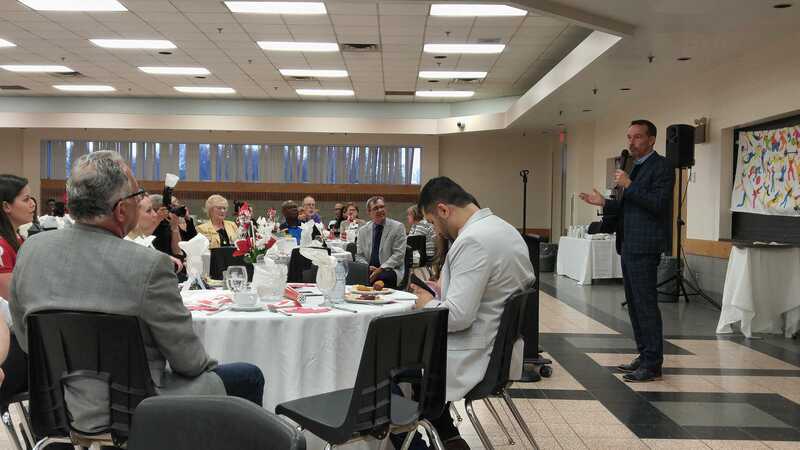 This yearly event honours volunteers who have made significant contributions to our community. Jim VanDusen, Dealer Operator, Jim Gibbens, General Manager, and Mayor Steve Parish joined in celebrating and honouring the award recipients. Winners and guests were treated to a night of food and fun. Jim VanDusen had the honour of greeting and thanking all attendees. Everyone was treated to a sumptuous buffet featuring a build your own S’mores station. Fire and all! Continuing the night of fire was Fire Guy, Brant Matthews. The Fire Guy Show entertained us all with his unique blend of theatrical fire eating, fire juggling, fire breathing and comedy. The highlight of the night was the keynote speech given by Natalie Wideman, who came with her Gold Medal. Natalie is a member of the Canadian Women’s National Softball Team. Most recently, Wideman played for the 2015 National Team, contributing to an extra innings win over the United States in the women’s softball finals at the TORONTO 2015 Pan Am Games. Our own Ajax Sportsplex hosted all baseball and softball games, including women’s baseball. During the games, it was known as the President’s Choice Ajax Pan Am Ballpark. Natalie speech was moving and insightful as to what it takes to be a world champion. She spoke of the hard physical and mental training that it takes. She shared the “intrinsic motivation sports psychology” that she experienced on the national team. Specifically, why you wake up! And why you endure what you do to be a champion and make a difference. It was inspiring to see that she values being a role model to youth, and remembered how she once looked up to her role models. Appropriately, Natalie declared that “No role is too small. Like volunteering.” All it takes is the proper mindset. She went on to discuss her experience at the Pan Am Games. Noting that the Canadians had not beaten the US since 1983. But 2015 was different. This time we had the homefield advantage. She mentioned how all of her family, friends and everyone said the event was flawless. 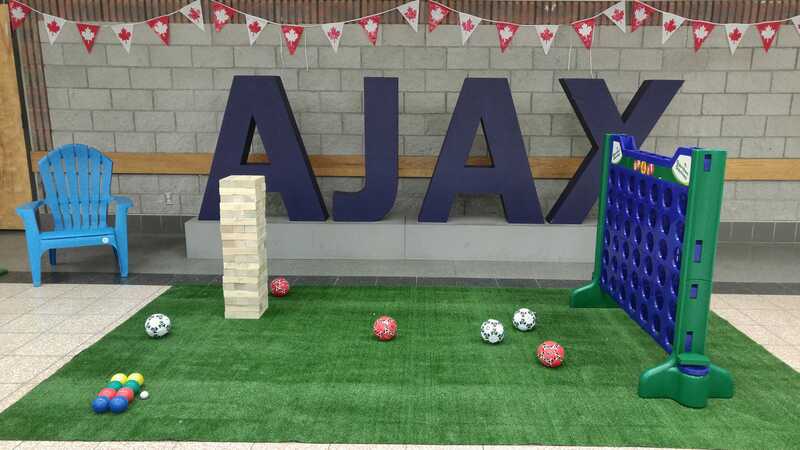 This she credited to our local team of volunteers from Ajax, and Durham Region, who contributed their community and lives to hosting a successful games. 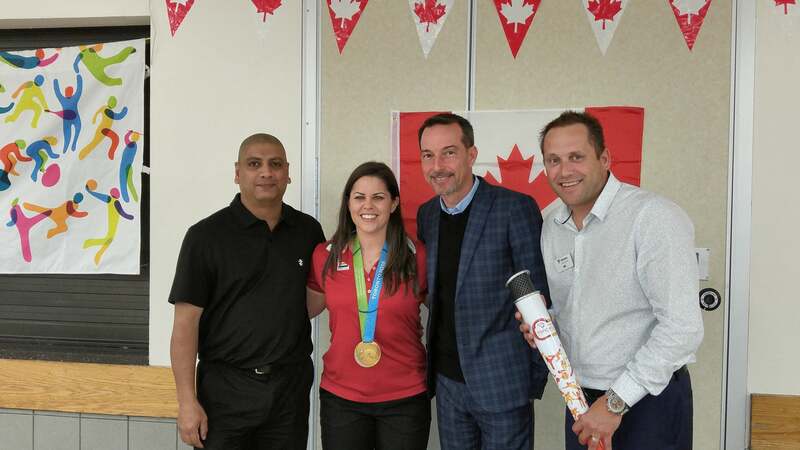 She said that “Volunteering is the definition of being Canadian, selfless and dedicated.” Natalie closed with thanking all the volunteers and the Town of Ajax for for giving up their time and energy to contribute to the success of the team, and the Gold Medal.